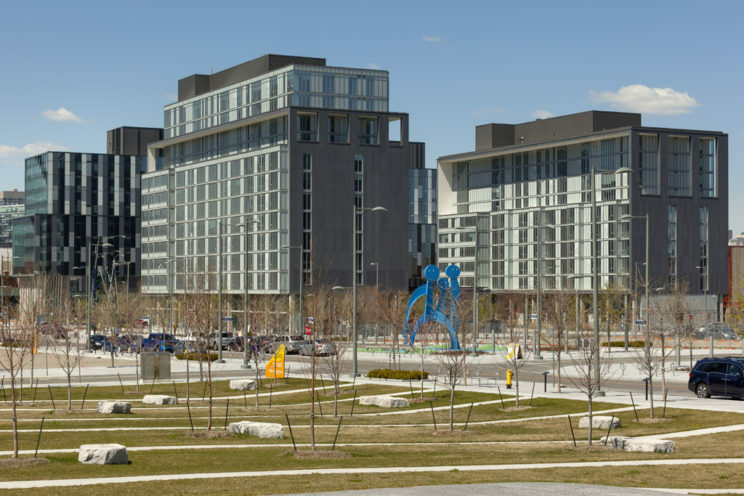 Forming a key part of the West Don Lands revitalization master plan and now known as the Canary District, this community was initially developed as the Pan Am/Parapan Am Games Athletes' Village that housed over 8,000 athletes, coaches and support teams during the Pan Am Games and 2,000 during the Parapan Am Games. 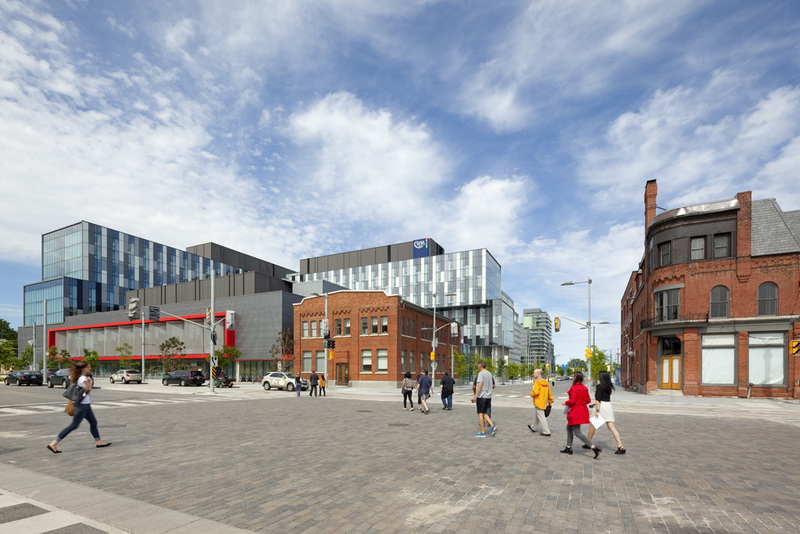 Four architecture firms were responsible for setting design and construction standards on behalf of Infrastructure Ontario and for the distribution of density and programme based upon City of Toronto Zoning By-laws. Accessibility and affordability were key components of our team's involvement. Quadrangle/Human Space* was selected to provide Planning, Design and Compliance (PDC) services for the Athletes’ Village (and its supporting facilities) in collaboration with HOK Canada Inc., Du Toit Allsopp Hillier and Montgomery Sisam Architects. The Human Space team created the accessibility sections of the Output Specification (OS) documents. This was achieved by test-fitting multiple build-out options, ‘overlay’ functions and forecasting future project needs that could be adapted. These documents were a guide to ensure that the successful development consortium met the goals and aspirations of the Province, the City of Toronto, and their project stakeholder partners during the design and construction of each project phase. As a result, Human Space acted as advisors amid the proponent selection process as well. The new neighbourhood was designed to be easily used by persons using mobility devices. Human Space oversaw and monitored the accessibility compliance of these areas, along with the coordination of programmes and distribution-of-density that were based upon the City of Toronto’s Zoning By-law. Following the games, the strong foundation laid by the design team’s collaborative efforts allowed the Athletes’ Village to successfully transition into condominiums, affordable rental units, student housing, a YMCA community centre, and a host of other facilities that form the heart of Toronto’s emerging Canary District. Human Space is proud to have contributed to this internationally recognized and accredited landmark for the City of Toronto. Size, space and proportion were all considered in the delivery of accessible residences. The layout of each block was designed for a simple and intuitive journey sequence throughout the site.